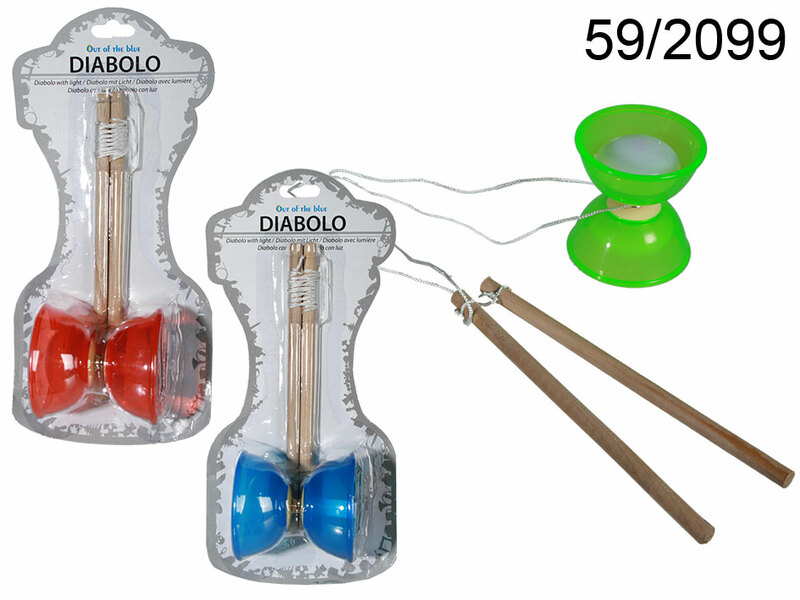 The diabolo toy consisting of an axle and two cups with light (batteries included). This object is spun using a string attached to two hand sticks. Size of the object: around 11 cm. Size of the sticks: around 24 cm. 3 colour versions available. Assorted. Blister packaging.